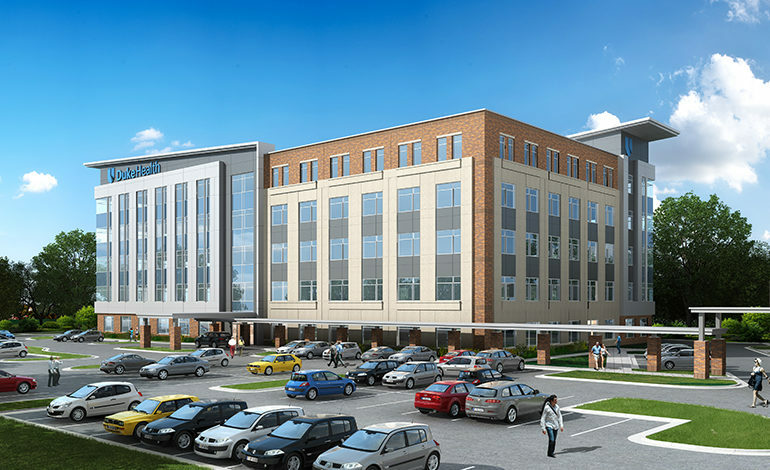 McAdams is providing entitlement, land planning, landscape architecture, surveying and engineering services of a +/-150,000 square foot medical office building and associated parking deck located on approximately 8-acres just east of the intersection of NC 54 and Fayetteville Road in Durham, NC. 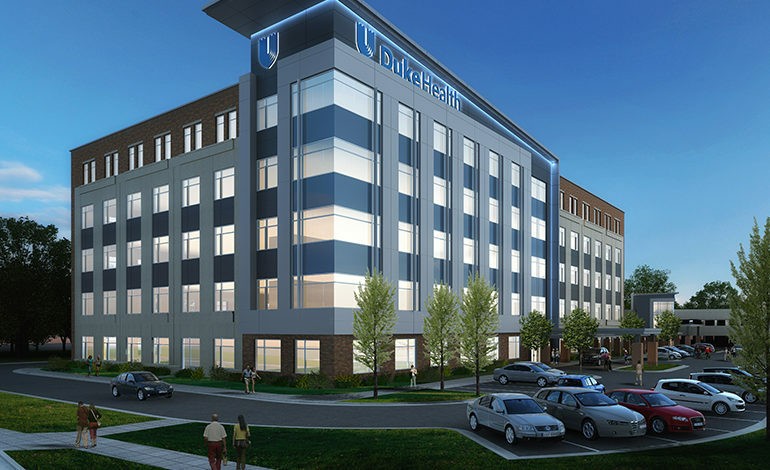 The design team carefully considered building placement and circulation to overcome site constraints, provide adequate parking and accessible routes and offer an entrance sequence that is welcoming for patients, staff and visitors alike. The patient experience was also considered through careful selection of hardscape materials and plant pallet to create an experience that is safe, inviting and calming.